At age six, the little girl in the Enesco Growing Up Girls collection is growing up! She is learning to read and is growing taller. 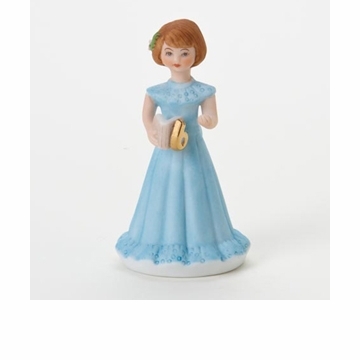 This porcelain bisque birthday doll is dressed in a blue dress. The six year old birthday doll is also available with blonde hair.